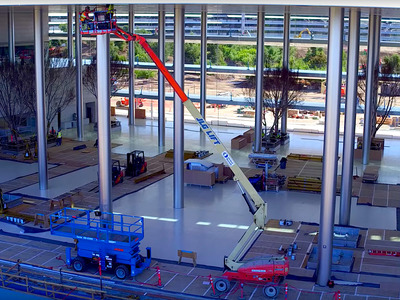 Matthew Roberts/YouTubeAerial footage of Apple Park. 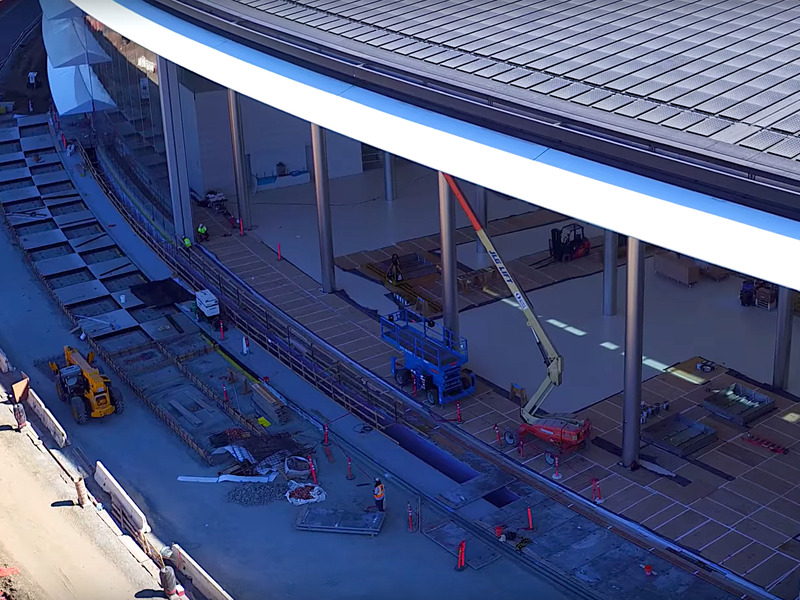 Apple CEO Tim Cook tweeted a gif of the giant sliding doors at Apple Park. 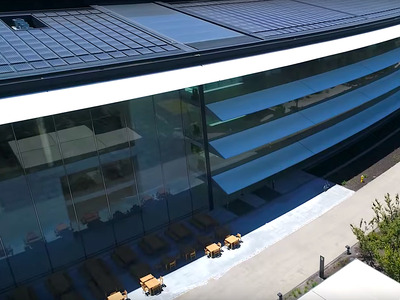 The footage adds weight to the headquarters’ “spaceship” monicker. Previous aerial footage of Apple Park show the doors and lunch area under construction. 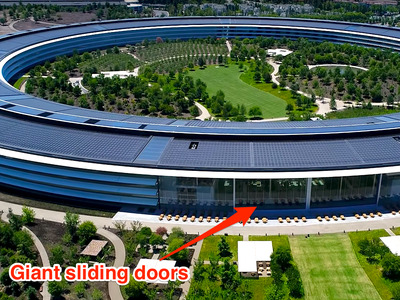 Apple’s giant new headquarters in Cupertino, California, is nicknamed the “spaceship” – and Tim Cook’s latest peak behind the curtain only backs up this monicker. 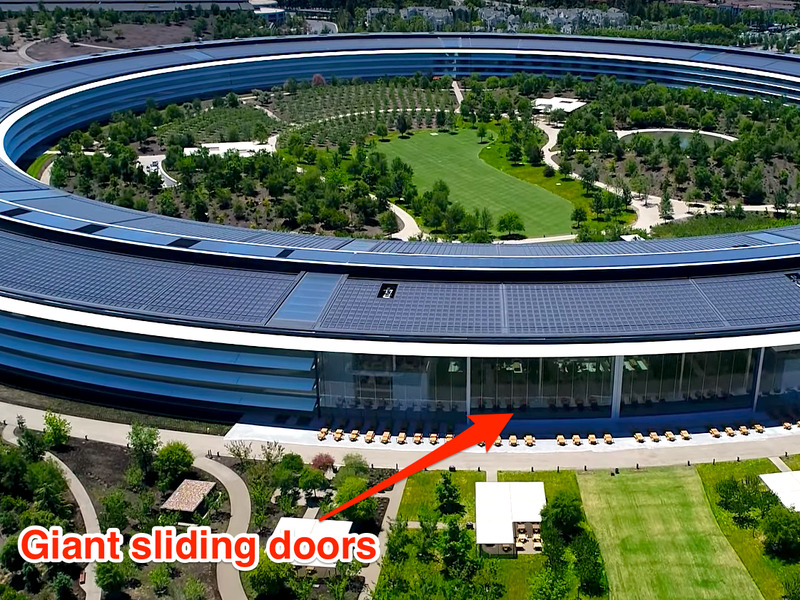 The gif is from a timelapse video, meaning the actual speed the doors move at is probably much slower, but you’d still be forgiven for thinking it resembles something from a sci-fi movie. Below is a closer look at the doors, captured in aerial footage of Apple Park uploaded to YouTube in June. This shot shows the doors under construction last year, with workmen appearing to be examining the tracks on which the doors run. 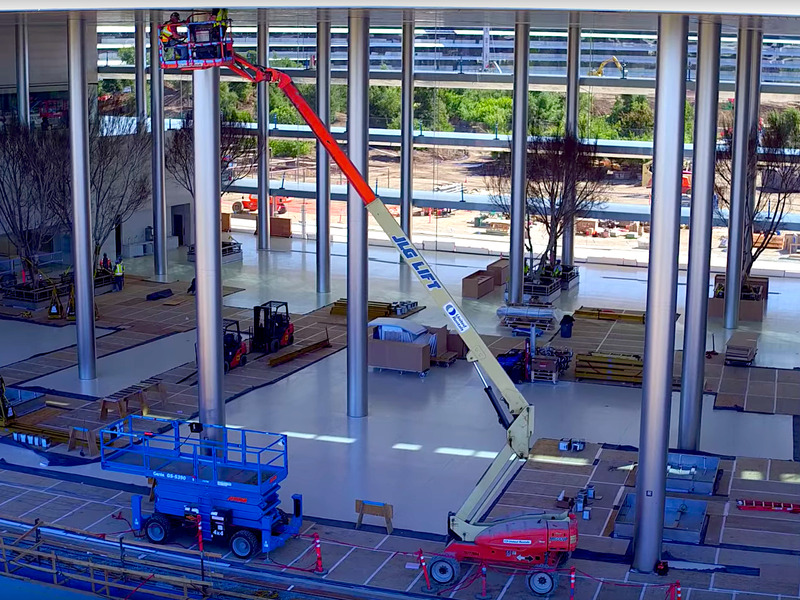 Finally, this screengrab shows inside the lunch area – complete with indoor trees.